Miller Properties currently has 2 spaces available in this plaza. The first one contains 4720 SF of upscale flex space – 80% finished and the second one has 4120 SF of upscale flex space and is 100% finished. Please contact Stan, Dave, or Ed for a showing – (402)333-2003. 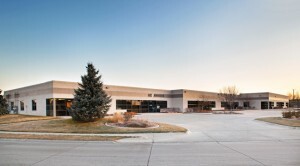 Miller Properties currently has 12,960 SF of space available at 8550 S. 137th Circle, Omaha, Nebraska. 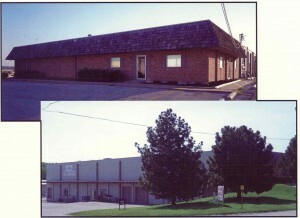 Suite 9 offers 3,240 SF of which 700 SF is office finish and the remainder is warehouse space including 2 drive in doors. Suites 6-8 contain 9,720 SF including 1,800 SF of office with the remainder warehouse with 1 dock hi door and 4 drive in doors. Contact Stan, Dave, or Ed at (402)333-2003 with any questions or for a showing. MILLER PROPERTIES would like to offer 2 bays in the Horizon West Business Park fronting West Center Road just off 156th and Bob Boozer. One bay contains 2700 SF and includes a dock hi door. The other contains 2750 SF with 1 dock hi door. Spaces are currently combined but may be separated as well. Call (402)333-2003 today! Miller Properties is offering 8,000 SF of warehouse space with 1 dock hi door. This property is centrally located in Omaha, NE and has a quick and easy access to I-80. The property lies in a largely industrial/commercial area and has affordable rates. Call Stan, Dave, or Ed for a showing at (402)333-2003. 2000 SF will be available 12/1/17 in the Horizon West Industrial Park at 2443 South 156th Circle. This space is 80% office with a small storage area and the remainder warehouse. It also includes 1 drive in door. Contact Stan, Ed, or Dave for a showing. 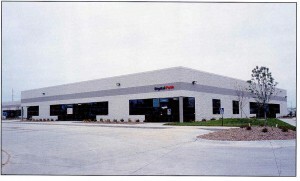 1250 SF is available at 2104 South 156th Circle, Omaha, NE. This space is largely office finish (70%) with remainder warehouse including 1 drive in door. Contact Stan, Ed, or Dave at (402)333-2003 for a showing! Miller Properties currently has several bays for lease at Southwestern Plaza located at 4509 South 143rd Street, Omaha, NE. Suites 1-2 encompass 4720 SF, Suites 10-11 occupy 2920 SF, and Suites 12-13 contain 4120 SF. All spaces are upscale flex space and range from 80% to 100% of office finish. Suites 10-13 may be combined for a total of 7,040 SF. Contact Stan, Ed, or Dave at (402)333-2003 for a showing.